❤️YOUR CHILD WILL LOVE THIS SEAT ~ Children have so much fun with this reclining seating, using it daily while reading, playing and snuggling. 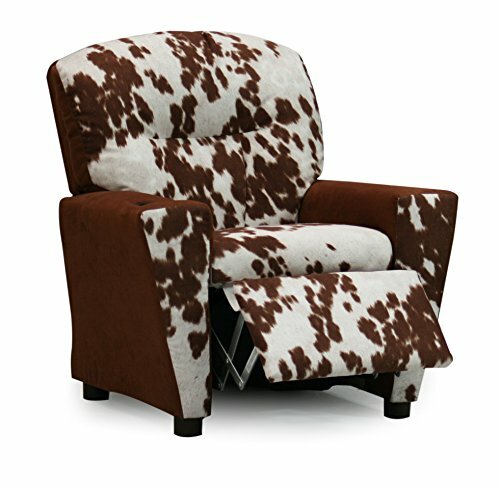 ❤️SUCH A GREAT UPHOLSTERED ARMCHAIR ~ This pattern is so fun, youthful and current ...yet not as "loud" as a character print so it blends really well with adult furnishings or a child's bedroom or playroom. ❤️KID FRIENDLY GENDER NEUTRAL FABRIC ~ This soft to the touch faux suede is easy to care for...simply wipe with a damp cloth using mild soap and water. ❤️PROUDLY MADE IN THE USA - Durable, with a hardwood frame and generous padding for both comfort and safety. Tough enough for any cowboy and cowgirl. ❤️FREE SHIPPING ~ It's so easy to order with confidence from Amazon, simply add to your cart now. If you have any questions about this product by M Brands, contact us by completing and submitting the form below. If you are looking for a specif part number, please include it with your message.